The sun has set upon the time of Victory and Associates. It’s been an interesting almost 5 years. We’ve been all around this great country of ours. But after two albums, several singles and a digital single frontloaded with a comedic sketch, the time has come for us to bring it to a close. We would like to invite you to spend one last set with us 11/29/2014 at El Rio. As we run through some of our favorite songs of the last near 5 years or so and send off our little music band to rocker Valhalla. Victory and Associates and Seismic Wave Entertainment are very proud to announce that we are now part of Comedy Minus One’s incredible PRF DISTRO, which we highly suggest as a one stop shop for Victory and Associates records as well as records by Minutes, the rutabega, Body Futures, Risk/Reward and many, many other worthies. Driving eight hours from Chicago to Pittsburgh in late June gave me a lot of time to think. So impressed by the quality of the bands I had seen play as well as the quality of the people I had met at the 2014 PRF BBQ, I became interested in making it easier for folks to find these bands’ releases instead of forcing interested parties to piecemeal single LP shipments together. Somewhere on I-80 the idea for PRF Distro was born. There are 75 different titles in stock as of today’s launch, everything from the new Shellac record to limited run vinyl by These Estates, Alto! and Risk/Reward. Like-minded labels such as Latest Flame, Sick Room and Damnaby have sent us select wares for our warehouse. We’ve even made our remaining stash of Silkworm “Libertine” 2×12″ + SKWM shirt bundles available in a variety of sizes to mark the occasion. Each release PRF Distro carries has an audio preview available, in most cases the entire record. Stream before you buy. If you select a record, you’ll be provided with eight recommended titles to explore at the bottom of the screen. You can also use the “tags” that close each release description to find other records by the same artist. Please follow PRF Distro on the Facebook and the Twitter as we’ll be highlighting a different band/group/label weekly. You can follow the PRF Distro on Facebook and Twitter both. cds ship immediately, vinyl in October… and digital immediately. Posted in announcements | Comments Off on Midwest, thank you! Victory and Associates – midwest tour. 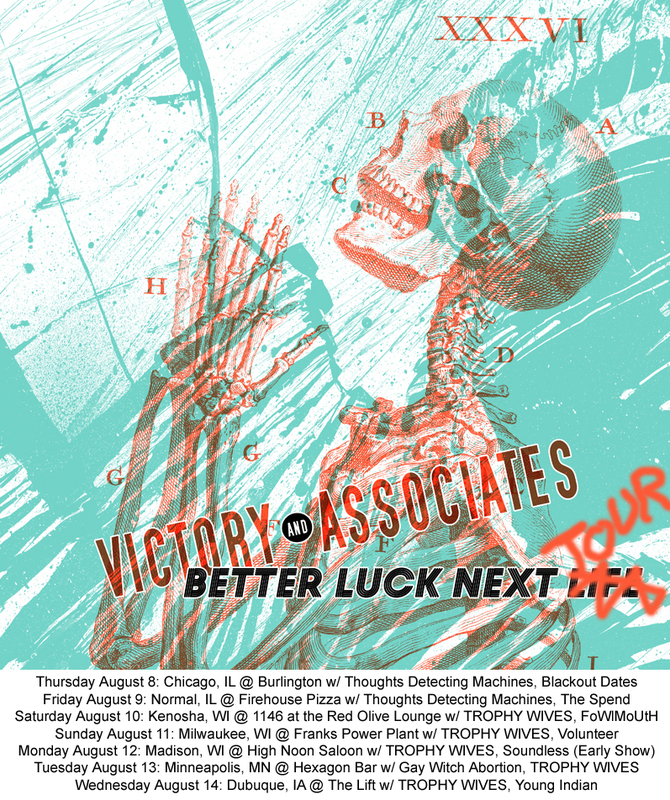 Posted in announcements, Flyers | Comments Off on Victory and Associates – midwest tour. New album – Better Luck Next Life: Available Now! Here is the first song on the new Victory and Associates record: Better Luck Next Life. It’s called “We’ll Have To Be Our Own Heroes”. You can listen or get a free download at that link, purchase a download of the whole album NOW, or preorder it on CD or LP. Thank you so much for the support and please feel free to reshare. Posted in announcements | Comments Off on New album – Better Luck Next Life: Available Now! We’re as pleased as can be to be sharing the stage at the wonderful New Parish with the mighty Thermals! Whose new record Desperate Ground is a total ripper. 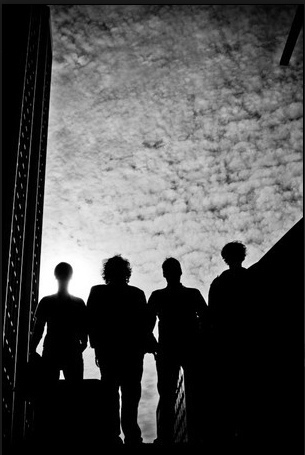 Hi All, we’re very pleased to announce that we will be recording a brand new full length record. The record is tentatively called “Screaming Outside the Airlock” and it is a concept record based on the disconnection from each other our modern world faces. Sounds like a party, right? Anyway, we’re going to be recording it with Mr. Toshi Kasai (Melvins, Tool, Hurry Up Shotgun, etc.) and we’re as pleased as can be about it. And a couple of others, we’re still working that out. Anyway, we’re pleased as can be to be working with Latest Flame Records for this one. And rest assured there will be some touring. ok? Until then we have a couple of bay area shows coming up, one at 924 Gilman with the Bismarck from Seattle. An Excellent, excellent band who we love quite a bit. And April 27th at the Hemlock with Qui (from LA) and Big Long Now. Also great acts! Rumor has it that we’ll be playing a house show too, but you’ll have to ask us after that one. And of course give the secret phrase. Playing with some great bands, should be a blast. See you there. These California boys are going to be dressing warm. 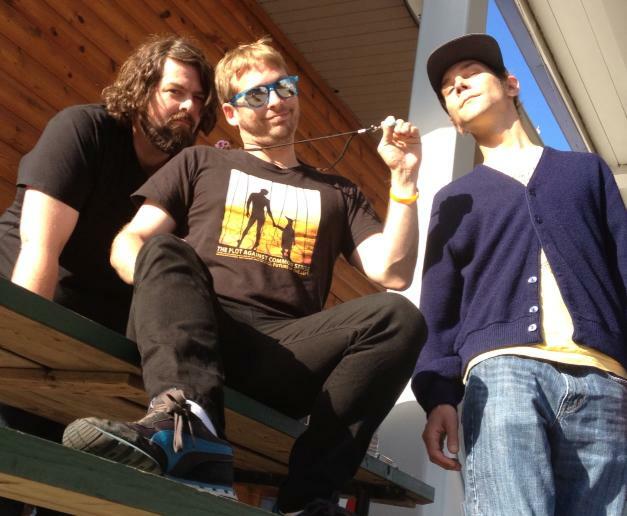 Dec. 15th at Artbeat… For serious! last V&A show of the year… ya heard! Other than that, we’re just writing songs for the next record. We are pretty psyched on them! Q: You can’t be serious! Posted in announcements, shows | Comments Off on Dec. 15th at Artbeat… For serious! Victory and Associates – US Tour 2012 dates. Here we are folks, there are a bunch of places we would love to play, but we are very limited on time here… we’re super pleased to be playing with some incredible bands though at some amazing places. If you live in any of these areas or know somebody that is, please, please spread the word. Thanks! We are excited to rock across these United States of ours. LATEST FLAME RECORDS 10 YR ANNIVERSARY! 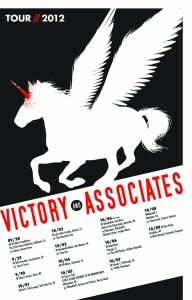 Posted in announcements, shows | Comments Off on Victory and Associates – US Tour 2012 dates.